Kitchen renovation signifies so many fresh possibilities for your kitchen. You may be suffering with an oddly designed kitchen that sits at the centre of your home, receiving a miniscule glimpse of natural light each day. Thankfully, you don’t need to be locked into this sorry layout forever. When you call Adelaide’s kitchen renovation specialists at Hills Robes and Kitchens, we will visit your home for a free consultation, and discuss the potential that lies in your existing kitchen, and the myriad ways we can maximise its style, vibrancy and utility. Why not demolish that light-blocking internal wall, which serves no purpose, and let a sleek lowline island take its place? Such a change would instantly expand on light and space and transform your gloomy cookery into a light and bright, open-plan wonder. Are you starved of space in your existing kitchen? You might want to expand on your kitchen’s existing footprint and and carry the layout over to an adjacent room with your renovation. Adelaide’s premier kitchen design team can advise of the best way to build on to your kitchen without impinging on space in adjoining rooms. Kitchen renovation need not be an exaggerated process; there are several ways to breathe new life into your existing kitchen if you can’t bear the thought of an extended period without your homely hub, or you can’t afford a full-scale renovation. Amplify your kitchen storage, minus the lengthy reno, by installing a few overhead cabinets, or a built-in pantry. Choose Adelaide’s own Hills Robes and Kitchens for your kitchen renovation, and you’ll be impressed by our extensive range of quality products, and design advice that is tailored to your needs and budget. Now you’ve decided to greenlight a kitchen renovation, it is the perfect opportunity to do away with any features that don’t serve you. Your sink might be located too far from your dishwasher—some simple plumbing work will mean the difference between convenience, and an omnipresent trail of water between the two . You might often use your stovetop and oven simultaneously, and you’ve burned your legs one too many times with that old, dual-purpose cooker—now’s the time to install a wall oven. When planning your kitchen renovation, our experienced Adelaide consultants will ask you all the right questions, allowing them to customise a design and layout that will work for you. 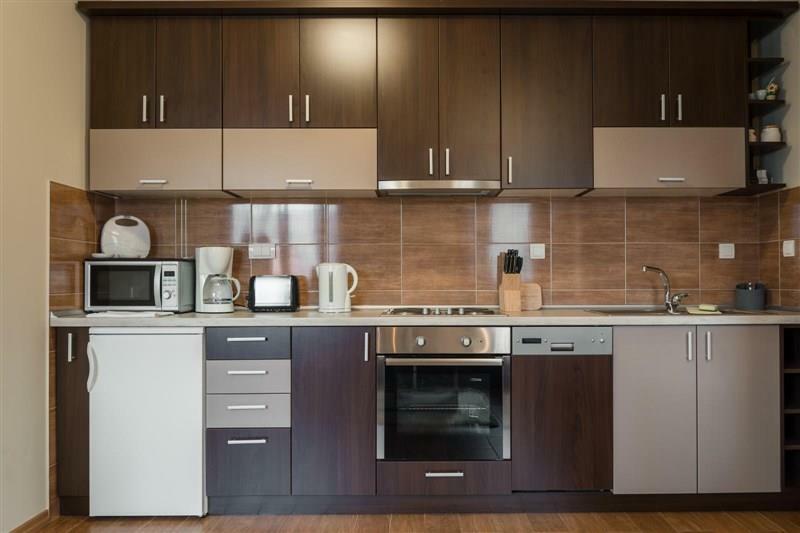 If you’re wondering how best to revamp your Adelaide kitchen, we will help you plan your kitchen renovation to the letter, whether you’re looking at some minor upgrades, or dreaming up a full-scale overhaul. We’ll help you to uncover the potential in your existing kitchen, identifying features that work, and tailoring improvements to what doesn’t. Thinking kitchen renovation in Adelaide? Hills Robes and Kitchens is the name you need to know. Call us today to discuss your next kitchen project.